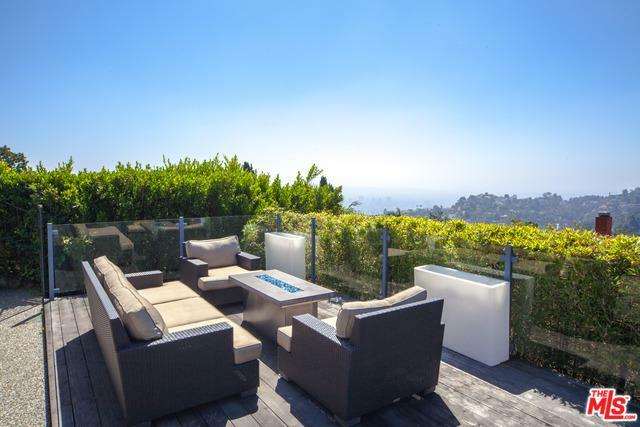 This 4-bedroom, 3.5-bath contemporary home, set behind private hedges atop Mount Olympus, is an entertainer's dream. Rich hardwood floors throughout grace the formal living room and dining room with dual fireplaces and additional den area. Floor-to-ceiling sliders beckon you outside. Other outstanding features include the recently remodeled open kitchen with breakfast area; a romantic master with fireplace and custom-designed bath with luxurious steam shower and sauna; 3 guest bedrooms; a large, grassy front yard and rear yard; a 10,000 square-foot loft, and a wall completely enclosing the property. You will also enjoy big-city and ocean views from the sun-drenched wood deck, pool and spa, a large covered outdoor dining area with a built-in grill, an outdoor TV and flush-mounted ceiling heaters. 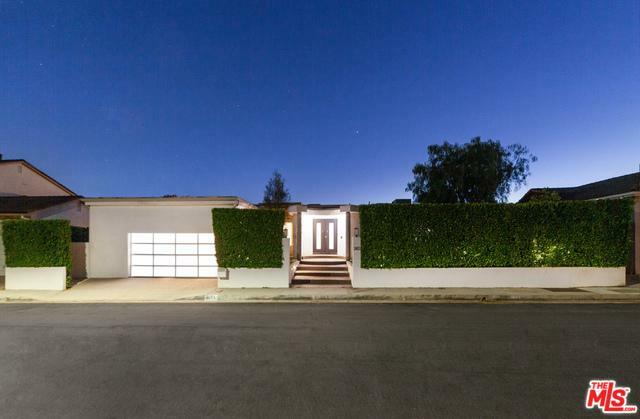 Listing provided courtesy of Lauren Ravitz of Berkshire Hathaway Homeservices California.